We are honored to bless your family with the most wonderful dogs in the world, the Great Pyrenees (in our humble opinion). Whether your pup will be a loved family member, livestock guardian dog, show dog or just want a Disney star; we are here to serve you and give you the best pup we can. 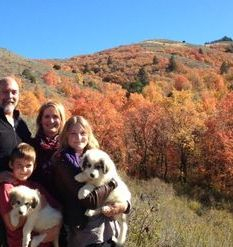 Here are a few pictures of Rehoboth Great Pyrenees Puppies that have gone to outstanding homes!